'Umbrella Academy' Renewed for Second Season on Netflix! The Umbrella Academy is returning for a second season on Netflix! Ellen Page, Tom Hopper, David Castañeda, Emmy Raver-Lampman, Robert Sheehan, Aidan Gallagher, and Justin Min will all be back for the second season. Here’s a synopsis from season one: On the same day in 1989, forty-three infants are inexplicably born to random, unconnected women who showed no signs of pregnancy the day before. Seven are adopted by a billionaire who creates The Umbrella Academy and prepares his “children” to save the world. Now, the six surviving members reunite upon the news of their father’s passing and must work together to solve a mystery surrounding his death. But the estranged family begins to come apart due to their divergent personalities and abilities, not to mention the imminent threat of a global apocalypse. You can stream the first season on Netflix right now. Ellen Page suits up for the black carpet as she arrives at the premiere of The Umbrella Academy on Tuesday night (February 12) at the ArcLight Hollywood Theater in Hollywood, Calif. 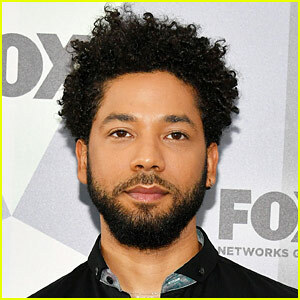 The 31-year-old actress was joined at the premiere by co-stars Tom Hopper, Mary J Blige, and Kate Walsh as they stepped out for the premiere of their new Netflix show. Fellow cast members at the premiere included Emmy Raver-Lampman, Aidan Gallagher, Keegan Allen, Robert Sheehan, John Magaro, Adam Godley, Colm Feore, and Ashley Madekwe. 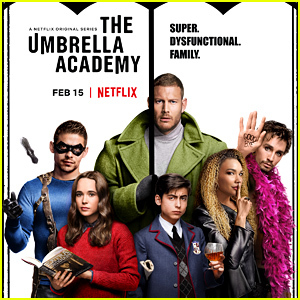 The Umbrella Academy will be available for streaming on Netflix starting on February 15 – watch the trailer here! FYI: Ellen is wearing Saint Laurent. Netflix Debuts 'The Umbrella Academy' Trailer - Watch Now! The trailer for Netflix’s The Umbrella Academy is here! The upcoming series, based on the comic book series created and written by My Chemical Romance‘s Gerard Way, will launch on the streaming service on February 15. Here’s a plot summary: on the same day in 1989, forty-three infants are inexplicably born to random, unconnected women who showed no signs of pregnancy the day before. Seven are adopted by a billionaire who creates The Umbrella Academy and prepares his “children” to save the world. Now, the six surviving members reunite upon the news of their father’s passing and must work together to solve a mystery surrounding his death. But the estranged family begins to come apart due to their divergent personalities and abilities, not to mention the imminent threat of a global apocalypse. 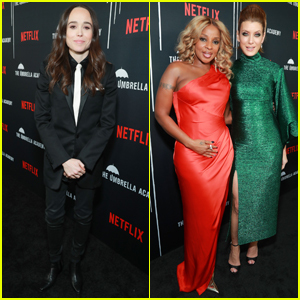 Ellen Page, Mary J. Blige, Cameron Britton, Tom Hopper, David Castañeda, Emmy Raver-Lampman, Robert Sheehan, Aidan Gallagher, Colm Feore, Adam Godley, John Magaro, Ashley Madekwe and Kate Walsh all star in the series, which will run for 10 one-hour long episodes. Netflix Debuts First 'The Umbrella Academy' Poster & Trailer - Watch Here! The first teaser for Netflix‘s upcoming superhero show The Umbrella Academy has been released! Here’s the synopsis: On the same day in 1989, forty-three infants are inexplicably born to random, unconnected women who showed no signs of pregnancy the day before. Seven are adopted by a billionaire who creates The Umbrella Academy and prepares his “children” to save the world. Now, the six surviving members reunite upon the news of their father’s passing and must work together to solve a mystery surrounding his death. But the estranged family begins to come apart due to their divergent personalities and abilities, not to mention the imminent threat of a global apocalypse. The show based on the comic book series created by Gerard Way stars Ellen Page, Tom Hopper, Robert Sheenan, Emmy-Raver-Lampman, David Castaneda, Aidan Gallagher, and Mary J. Blige. 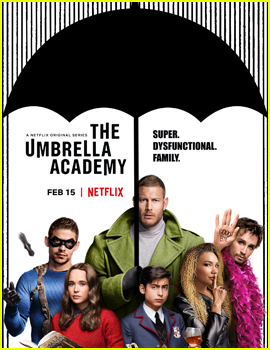 The Umbrella Academy hits Netflix on February 15, 2019 – watch the teaser below! Ellen Page and Mary J. Blige took the stage at 2018 New York Comic-Con! The co-stars stepped out to promote their upcoming show The Umbrella Academy on Friday (October 5) at Jacob K. Javits Convention Center in New York City. 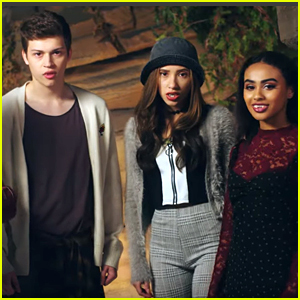 They were also joined by their cast mate Tom Hopper, Robert Sheehan, Emmy Raver-Lampman, Aidan Gallagher, David Castañeda and Cameron Britton. 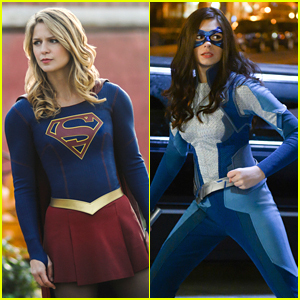 The series is based on the comic books by My Chemical Romance singer Gerard Way and Gabriel Bá and follows a family of strange superheroes named the Hargreeves. 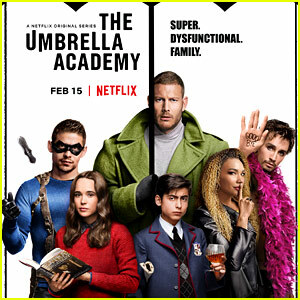 The Umbrella Academy is set to hit Netflix on February 15th.